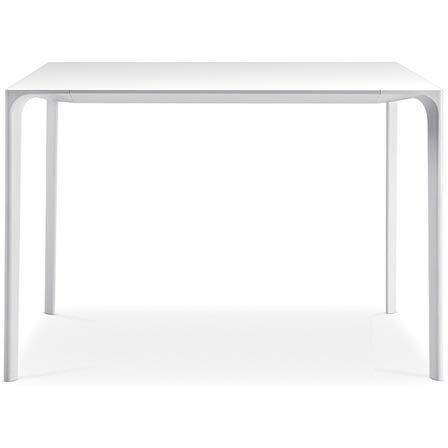 Elegant dining table Nuur with square table top. The Pengelly studio’s clean and stylish design aesthetic has produced Nuur, a system of 4-legged tables that further strengthen Arper’s presence in this segment. Completely white for minimalist settings, with a laminate oder Fenix top and lacquered aluminium structure. Nuur is available in a square or rectangular format. Also available as desk Nuur office. Do you have a question about "Nuur"? How can we contact you?